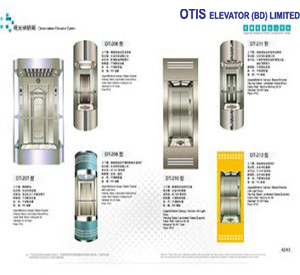 OTIS Elevator Bangladesh Limited is an officially authorized marketing and supplying collaborator or partner of OTIS Elevator Company of China. OTIS is the pioneer of this field and world largest manufacturer of markets elevators, escalators, moving sidewalks, and related other equipment. We are offering products and services through over 200 countries by our legal agent like (OEBL). We are taking the first initiative of the advancement of ‘Safety elevator’ that was made in 1852 considered as a unique system to secure lift vehicle where lifting placement is stopped working. 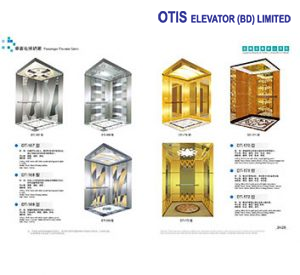 Otis has installed lifts in world most famous places including the Eiffel Tower, the Golden Zone Tower of Terror, Empire State Building, the Initial World Trade Center, Petronas Twin Towers, CN Tower, the Winchester Secret Home, the Demarest Building (First electrical elevator), the Singing Tower at Bok Tower Gardens and the Skylon Tower. OTIS Elevator Bangladesh Limited (OEBL) is the best lift company in Bangladesh who is importing, supplying & providing most excellent maintenance services to our clients. The (OEBL) lift company is the only one associated importer and supplier in Bangladesh of OTIS Elevator Company of America. If you are on a search engine to look up for lift company in Bangladesh or Elevator Company in Bangladesh, then feel free to contact us the (OEBL) lift company in Bangladesh. We are providing our best services including lifting spare parts to our valuable clients. 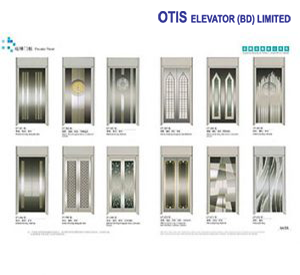 Otis Elevator Bangladesh Ltd (OEBL) is a dynamic lift company in Bangladesh for importing and supplying lift/elevator and including its product & services to Bangladesh. We have superior talent in Engineering design, providing, installing, testing and serving maintenance for all kind of vertical transportation. Our product includes all types of elevators, escalator, ARD, spare part, AVR and other transportation solutions. Lift Company in Bangladesh (OEBL) is ensuring 100% customer satisfaction by giving most effective & efficient service for the vertical transportation industry in Bangladesh. We provide a competitive edge in the market by constructing solutions to our clients that are most cost-effective and sustainable for a long. We trust to meet the demand of vertical transportation service to our client beyond our client expectation. • The action is taking to ensure products are safe for lift passengers. • Anticipate client needs and so proactive in meeting with them. • We always maintain a positive and professional attitude. If you are looking for reliable lift company in Bangladesh, then feel free to contact us to get a quick response to setup lift in your houses, offices, and also shopping center. We believe in service of excellence; more than what We provide, that’s the way we work & act. It is not just fixing a problem or performing only maintenance; it continues collaboration with our client to improve quality and very responsive to quick response. We control our commitment to our employee to our valuable clients. 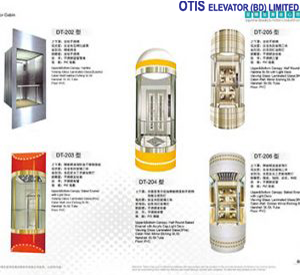 OTIS elevator’s prime concern is to provide safety and reliability record service in the vertical transportation industry. We work continuously to improve the safety existing products and utilize safe technologies for the new operation. Otis BD, Lift Company in Bangladesh emphasizes on corporate policy about safety first to implement a secure procedure to every lift/elevator installation. 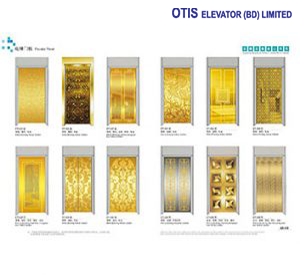 We are the only importer lift company in Bangladesh under Otis brand worldwide. So feel free to contact us. 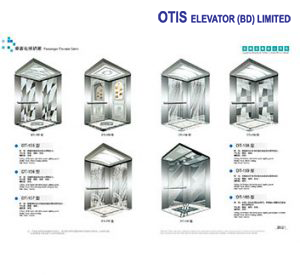 Passenger lift: We supply Otis brand passenger lift and its equipment from China to Bangladesh for our existing and new clients and keep in touch always with the requirement of clients. We only authorized and legal importer under Otis Brand worldwide. Hospital lift: We import and supply hospital lift and its equipment from China. We have more photos of hospital lift attached to our website. Capsule Lift: We bring the best-branded capsule lift from China in Bangladesh. We have more photos of Capsule lift attached to our website. Otis Escalator: Otis escalators get used to building yours specific requirements. We are a pioneer in escalator technology that has been designed for ensuring safety and quality, which is a part of our one of commitment to keep clients happy. We import escalator from China to Bangladesh. We have more photos of Escalator lift attached to our website. Spare Parts: We are the best lift’s spare parts importer and supplier in Bangladesh. We bring door drive, buffer spring, steel rope, full height sensor, guide rail; landing door hanger, nice inverter, rotary encoder, ARD, AVR & complete control panel, speed governor, etc.